For more than three decades, we’ve created beautiful, healthy smiles for Fort Worth-area patients. During that time, we’ve stayed current with leading-edge therapies and technology. Today, our progressive, paperless office proudly offers educational videos, laser dentistry, digital tools, modern sedation methods, iPODs, and more for your comfort, care, and convenience. 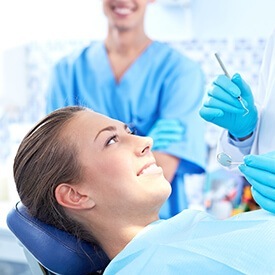 We want you to play an active role in your dental care, so we’ll take pictures of your teeth, mouth, and gums with an intraoral camera and display them on a chairside monitor during your visit. Information about the therapies we suggest can be explained visually with our CAESY Patient Education System. And we can show you the proposed effects of specific treatments with our digital imaging software or a wax model of your smile. Our Panorex and digital X-ray machines display a complete picture of your oral health, which aids in accurate diagnoses and rapid treatment of dental issues. Because we respect your time and busy schedule, we offer custom-milled crowns, inlays, and onlays in about an hour with our state-of-the-art CEREC machine. We want you to be comfortable while in our care, so we use proven anesthesia methods like oral sedation as well as nitrous oxide. Our conscientious staff will attend to your needs during your visit, and we’ll do everything we can to make your experience positive, pleasant, and successful. For quality care you can rely on, call today to schedule your appointment with Dr. Cheng. We’ll even send you a text message or e-mail to remind you of your appointment. Our Fort Worth office is located near Crowley, Aledo, Weatherford, and surrounding areas. There are only 700 Solea Lasers in use in the US, and we are proud to be one of the offices that utilizes this state-of-the-art dental technology. The majority of restorative and cosmetic dentistry services we provide require us to prepare teeth by removing damaged hard tissue. Traditionally, this preparation required the injection of local anesthetics and the use of loud, potentially uncomfortable dental drills. The Solea laser dentistry system allows us to remove damaged hard and soft dental tissues, reshape tooth enamel, and otherwise prepare teeth for fillings, crowns, veneers, and other dental treatment. 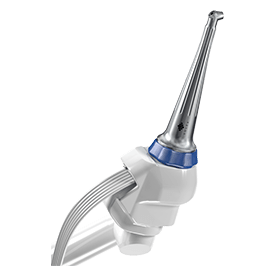 All without the need for uncomfortable drilling or local anesthesia injection. We are also able to use Solea lasers to perform soft tissue treatments with greater precision and comfort and reduced risk for infection.